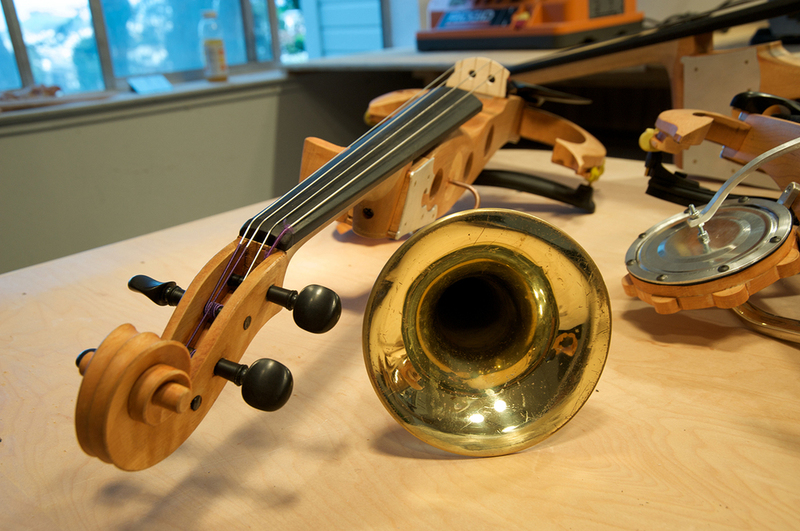 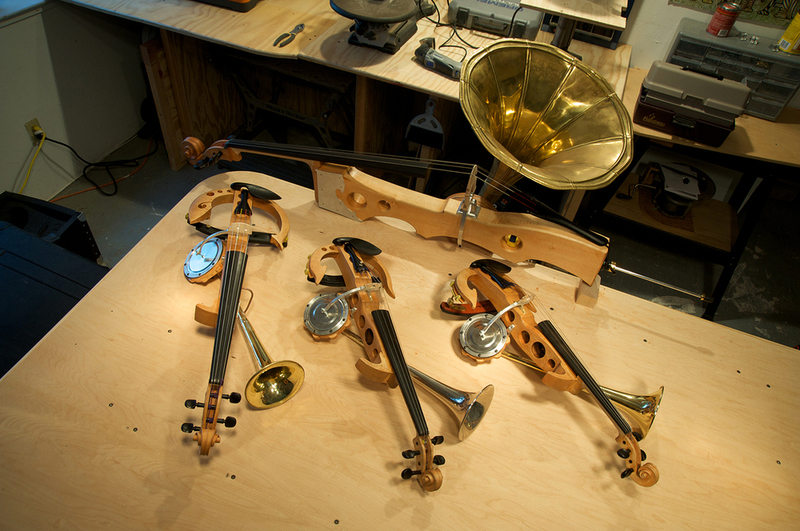 Kronos Quartet commissioned me to create a set of Stroh instruments for a Terry Riley composition. 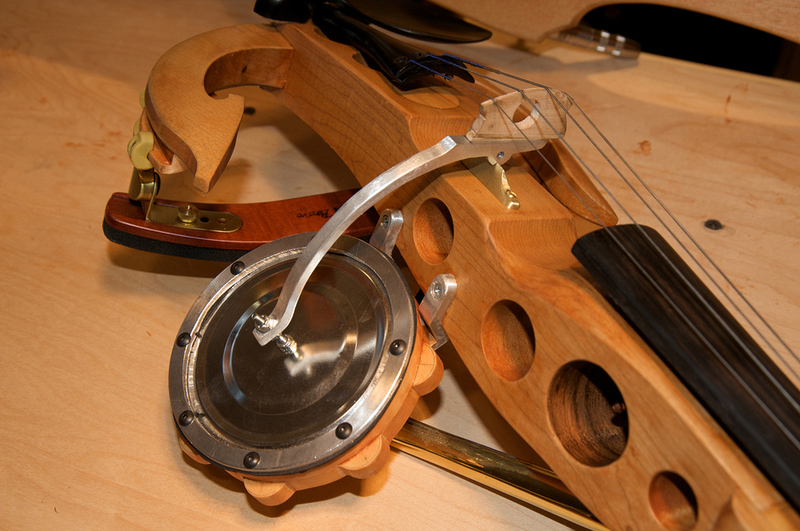 Stroh instruments originated when recordings were made by playing into a large bell and engraving the sound into discs or rolls. 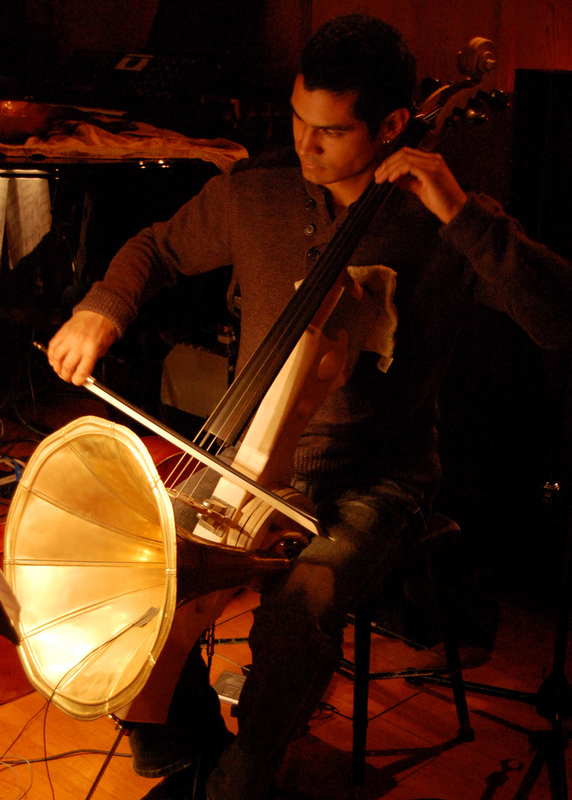 The subtlety of stringed instruments were lost in the mix until stroh instruments, which are amplified like gramophones through membranes and horns, provided the loud directional sound that was needed.